Mom, the Intern: I'm not too sick to post about music! I'm not too sick to post about music! Oh man, guys. Yesterday afternoon, I felt that all-too-familiar tickle in my throat and something told me I was getting sick. That little something was right because today, I feel like utter crap -- sore throat, achy body, chills, fever. Awesome. But! I need to tell you all about a few things. First: I've been blogging about these choir concerts for a year now and I'm not going to quit any time soon. No, not even influenza can stop me! 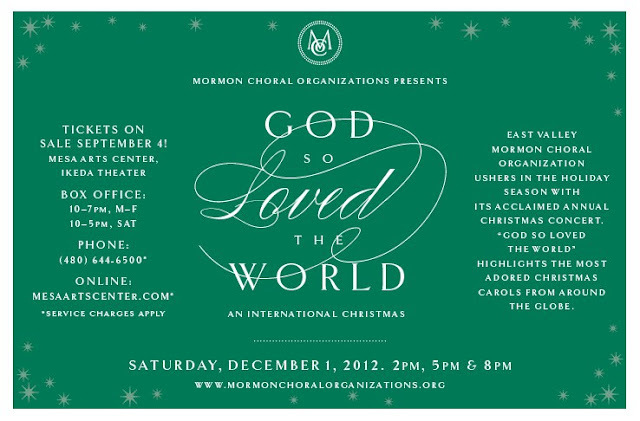 If you're in Arizona, I really hope you'll come to this concert because it's going to be amazing. The music, the set, the feeling ... all of it. And we're doing a few numbers with the kids so that will entail roughly 800 people singing and playing instruments at the same time. Seriously. I know some of my friends are concerned about this event being too "Mormony" and they don't want to be preached to so they aren't coming. Well, I'm here to tell you that's not what you can expect if you go. What you CAN expect: Spanish castanets. Bagpipes. 90-piece orchestra. 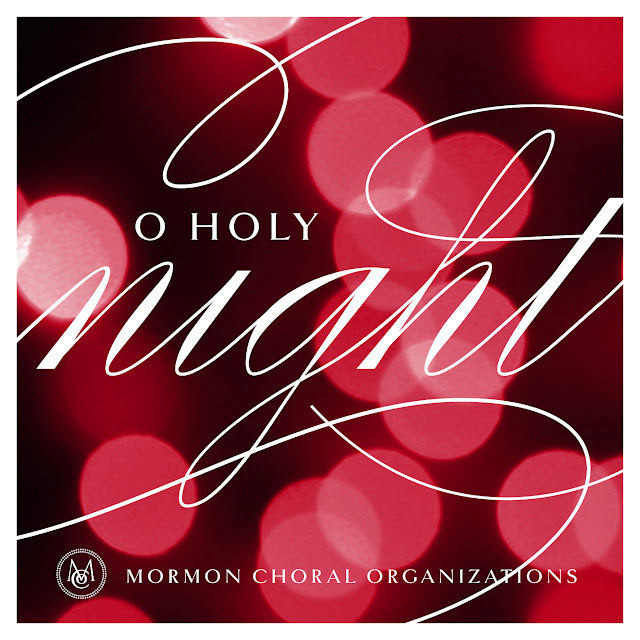 Gorgeous Christmas favorites such as "O Holy Night," "The First Noel," "Have Yourself a Merry Little Christmas," and even "Feliz Navidad." I've even heard the little ones are doing "Rudolph." How fun! So please, COME! This concert is for the community, and all of you Arizonans are part of it. Click here for ticket info. Shows are at 2 pm, 5 pm and 8 pm. And I promise, the music is even prettier. Listen to clips here. Then download it! Locals can also purchase a hardcopy at Phoenix record store Stinkweeds. I suggest you do that since you'll be supporting not one but TWO local causes! Anyway. I shall now return to my sick bed. But even in my state of near death, I have taken the time to post this for you. It just means that much to me!